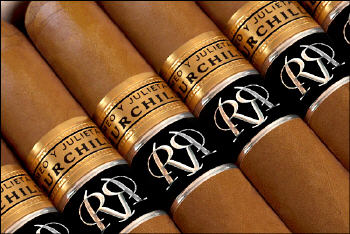 ROMEO y JULIETA CHURCHILLS RESERVA 2008 - THE FIRST RESERVA OF ROMEO y JULIETA IN ITS MOST HISTORIC OF VITOLAS. Habanos S.A. introduced the first Reserva in the 135 year history of Romeo y Julieta in the Churchills vitola. 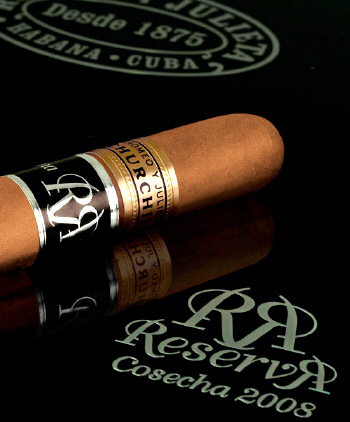 The emblematic Churchill vitola has been chosen for this unique production cycle. With a limited production of 5,000 boxes containing 20 units each, these Habanos contain only leaves from the Vuelta Abajo region that have been aged for at least 3 years. 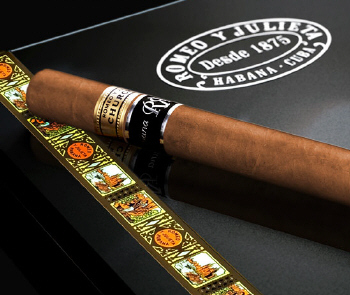 Since its beginning in 1875, Romeo y Julieta has become one of the best known brands of Habanos. The brand is particularly appreciated by enthusiasts who appreciate balanced blends with excellent aroma. 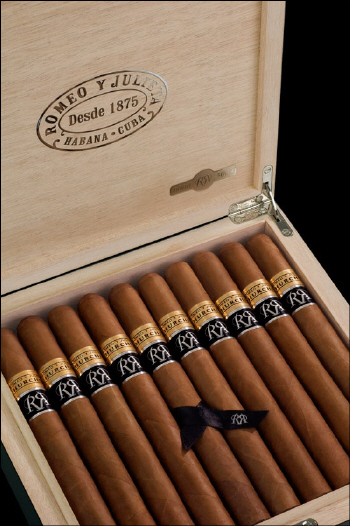 For the creation of this Reserva of Romeo y Julieta, the best tobacco leaves from the Vuelta Abajo area in the Pinar del Río region of Cuba which was harvested in 2008 are selected. All the leaves used in this cigar - filler, wrapper, and cap, were aged in a long and careful process lasting at least 3 years. The tobacco leaves were carefully monitored for at least 3 years, cared for in a controlled evolution guiding the aging of these precious leaves. Finally, in the master hands of the expert cigar rollers who create Romeo y Julieta, they change shape to become a unique cigar that will satisfy the tastes of the most demanding Habanos lovers. 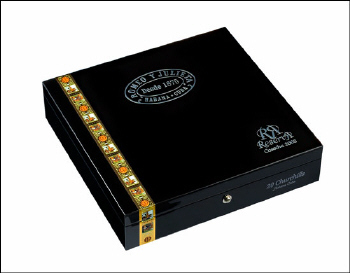 In addition, solely for this occasion, the historic Romeo y Julieta band sported by Churchill vitolas for decades has been resurrected, and will be combined with a second band indicating the Reserva status of these Habanos. The entire process used in creating these Reserva respects the selection criteria expected of a unique product: from the long, careful process of aging the best tobacco from Vuelta Abajo for a minimum of 3 years to the tasting committee comprised of more than 50 experts who have supervised the blend selected to guarantee a unique flavor, harmonious, balanced, and aromatic. 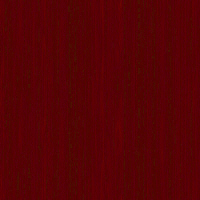 The Reserva of Romeo y Julieta is a unique product with an extremely limited production run of only 5,000 numbered cases, each containing 20 units. Presentation: 5000 individually numbered exclusive cases with 20 units each.